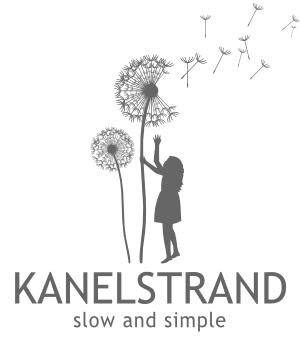 Thank you for showing interest in supporting the Kanelstrand blog. There are many ways to do that! Join hundreds of like-minded people and subscribe via Email (to have new posts sent to your Inbox), RSS or Google Friend Connect (to read posts through Google Reader). I am eager to know what you think! Your thoughts and ideas make walking the "green" path to simplicity much more adventurous and exciting. You will often see me reply to comments because I believe that the free flow of ideas and inspiration between like minded people is vital for their development. So, it is a good idea, whenever you comment, to click on "Email follow-up comments to..." at the end of the comment form so that you make sure you will receive my reply straight to your Inbox. Let's collaborate! Take part in my online projects - A Portrait of the Artist (handmade interviews with eco-friendly artists) and Through the Looking Glass (monthly linky party where you can not only enjoy my photos of Scandinavian nature through the seasons, but you can also show photos from your corner of the world). I am always interested in receiving well-written, unique guest posts to encourage and inspire my readers. If you strive to live sustainably, in peace with nature, or have an amazing DIY project to share, please do so! Guest blogging is a win-win situation. Let's simplify together and elevate experience over possessions. By signing the Simple Living pledge you will make the first step to a more intentional life. Follow my simple living posts to get tips on how to make the next steps. Purchase my surreal photographic prints on etsy. What better way to show appreciation to your loved ones than with a unique handmade piece of visual art! To show me you come from my blog use coupon code KAN25 and get 25% off your order! Support my sponsors. Before publishing an ad on the blog, I personally make sure that my sponsor's ideas, creations and driving force coincide with the philosophy of the Kanelstrand blog. So when you click on the beautiful ads you see on the right, rest assured that they will take you to high-quality products made by artists with love. Through this blog I am able to contribute financially to my family by doing what I love! Getting more ads and visitors allows me the time to continue blogging at the level and frequency which I do. So, if you like what you read on the Kanelstrand blog daily, tell your friends! Post my badge on your site to show support and help spread the word about how to lead a green and sustainable lifestyle.